A network is produced when the cycles or seconds elapses until the optimum network is found. 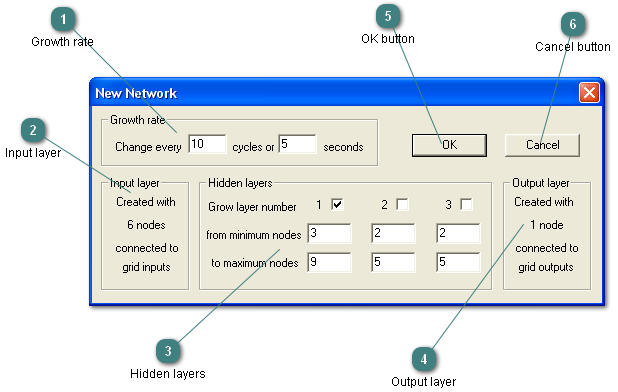 The number of nodes in the input layer is determined by the number of input columns in the grid. The hidden layers are grown from the minimum to the maximum number of nodes. The number of nodes in the output layer is determined by the number of output columns in the grid. Press to accept all the settings and close the dialog. Press to reject all the settings and close the dialog.